For Olivia, the confidence her innovation creates in the young ladies who use her products is the major motivation for PadUp Creations. Having experienced abuse first hand at her early age, she is dedicated to ensuring that young girls have better options today. In this LLA interview, she shares with us her motivation, passion and her vision for the company. 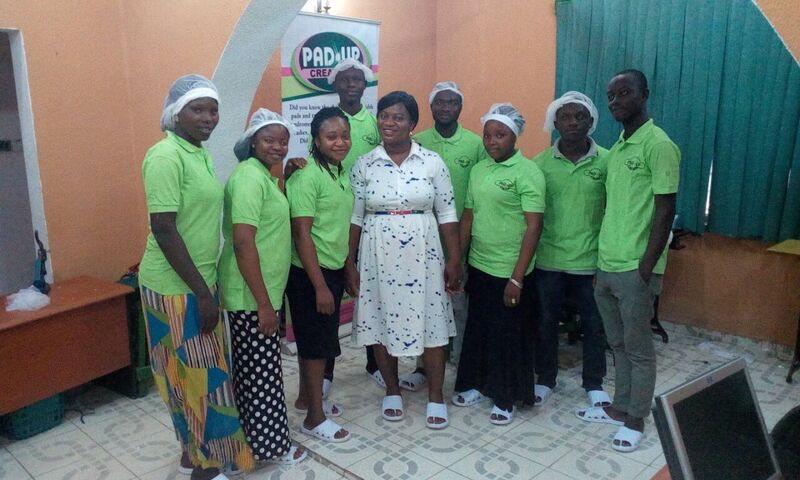 I am a wife and mother of 3 lovely children, a community health advocate, a menstrual hygiene management specialist, a sexual abuse counsellor/therapist and the CEO of Pad-Up Creations- a social company that manufactures Eco-friendly and 100% chemical free washable/reusable sanitary pads in Nigeria. 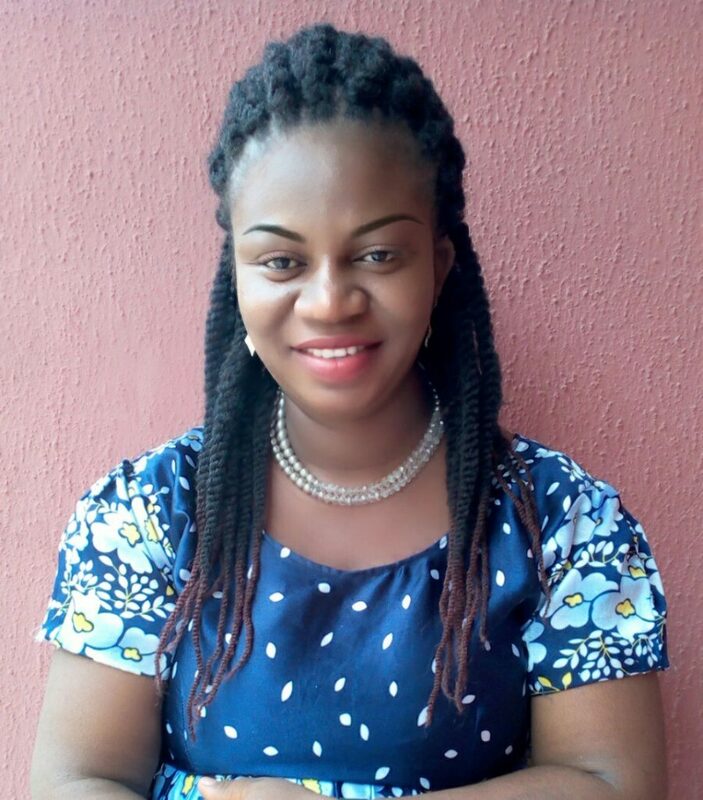 I have an M.Sc in Business Administration with over 7 years’ experience working in multinationals in Nigeria. I am committed to seeing that all girls and women have good menstrual care materials and full gen about menstruation and its management. I started a campaign against sexual abuse on children in 2015, having had the experience at childhood, administering therapy on the sexually abused to help them overcome sexual trauma. But with every follow up, we discovered that most of the girls return to be sexually abused. On close questioning, many of them complained that they rather give in to men to provide them with sanitary pads than get bullied by fellow boys in schools when their clothes are stained with menstrual blood or their improvised materials falls off. A GREATER PERCENTAGE of girls up till now, still buy sanitary pads from the money the source from their boy/men friends for sanitary pads which most times lead to teenage pregnancy and early marriage. Pick 3 average mothers who have teenagers of menstrual age and ask them the last time their daughters menstruated. You will be shocked they may not know. See, women are too busy these days to ask their wards such questions and the girls are too shy to say or ask for pads monthly. So when they get little money from any source, they prefer to quietly buy their sanitary pads. The truth is glaring that most girls in Nigeria, especially in rural and semi urban areas, stay out of school during their menstrual days because their guardians cannot provide them with good menstrual care materials. Some improvise by making use of unhygienic materials like dry grasses, leaves, rags, foams, feathers, toilet papers, etc. to care for their menstruation. Sometimes these improvised materials fall off or stain them and even expose them to different reproductive and urinary tract infections. I discovered a need seeking urgent attention and I believe in working hard to bring a positive change. I couldn’t just continue advocating for a change, I assumed the responsibility immediately. However, providing the girls with disposable sanitary pads would not be a sustainable solution as I may not have the capability to sustain it on monthly basis and may not even reach out to more girls. More so, burying or burning the pads tells negatively on the Ecosystem. Our reusable sanitary pads-The Pad-Up Menstrual kits is a sustainable solution to the menstrual care issues faced by girls/women in Nigeria and other developing countries because the pads have a minimum reusable period of 1 year. Your campaign against child abuse was birthed from your personal experience and has made a positive impact in the country. How has that journey been? How much impact has Pad Up made; and would you say that it has made a noticeable difference in the lives of girls? We have positively affected the lives of over a hundred thousand girls and women with our products as well as our health talks. This is Nigeria and doing business here keeps getting tough every day. Not having up to 4 hours supply of power in the day makes production difficult because most of our machines run on electricity. Also, lack of access to finance makes it difficult to scale up production. Absence of good infrastructure has left us importing almost ALL raw materials and high exchange rate is not favourable to business at all. It was also challenging finding and training the best talent as well as getting people to adopt a new product. Despite all, we have still made our price very affordable because we are more concerned about the social impact than the profitability at the moment. Your products are not only cost-effective but also hygienic and free of harmful chemicals. Why did you choose to go that route? 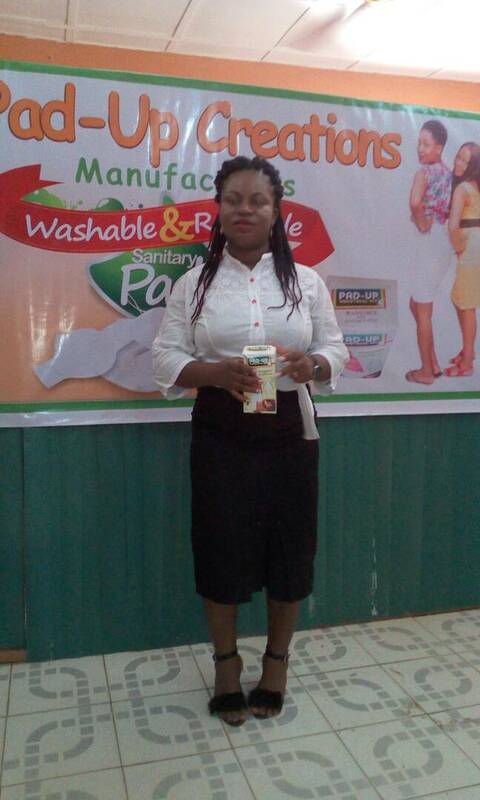 In the course of my research to start a cost-effective and sustainable solution to menstrual care materials for girls and women in Nigeria, I questioned a lot of women about their experience using the disposables in the market. So many complained about having rashes, urinary tract infections and more when they use even the number 1 brand of disposable pads. I always had those experiences too. So I started research on why women have rashes after menstruation and I discovered that disposable pads are lines with polythene to prevent leakage but this also prevents air from going into the body for the period of menstruation-about 4 days or more. I also discovered that most disposable pads contain a major chemical called Rayon- which absorbs the blood but a higher volume of it is toxic to the body. So you can imagine an exposure of the most sensitive part of a female body-the reproductive part to these chemicals for over 40 years. I started a company that produces 100% chemical free washable and reusable sanitary pads to give an affordable and sustainable solution to women who face this challenges I earlier mentioned. You studied Accounting and worked in the corporate world. How did you transition to being a Community Health Advocate? Be economically productive, utilize your time positively and never give up on yourself or any good plans even when it seems it will not work. 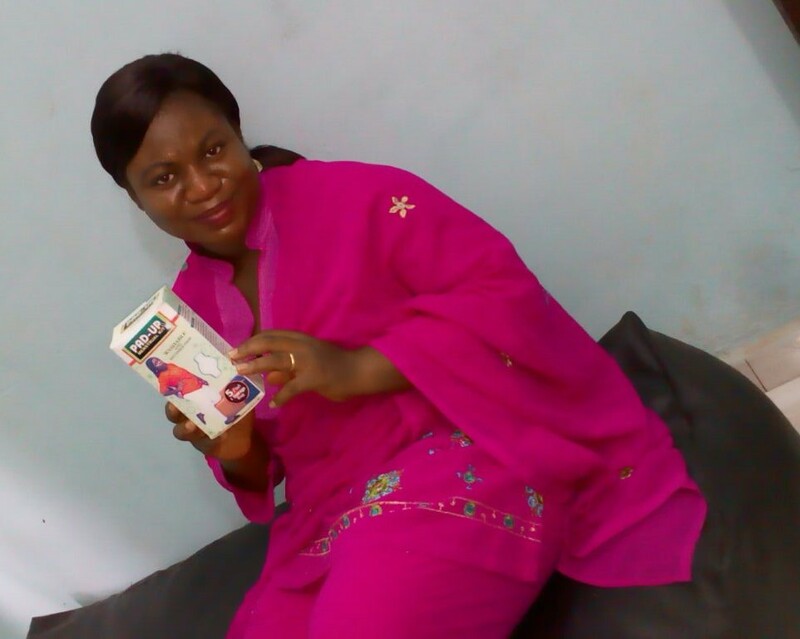 I watch cartoons with my children, gist with my husband or read news/books. Do you know any woman of African descent doing phenomenal things? Send an email to [email protected]and we just might feature her.